in the comfort of my Grandparents-that's the warm and lasting kind. A love that's based on caring thoughts and gentle trusting ways. Moments shared... both good and bad... and words of love and praise. we share an understanding that will last a lifetime through. People change and places change and times keep changing too. But one thing always stays the same... the love I feel for you. So put this in a special place and read it now and then. It won't be long until we're in each others arms again. 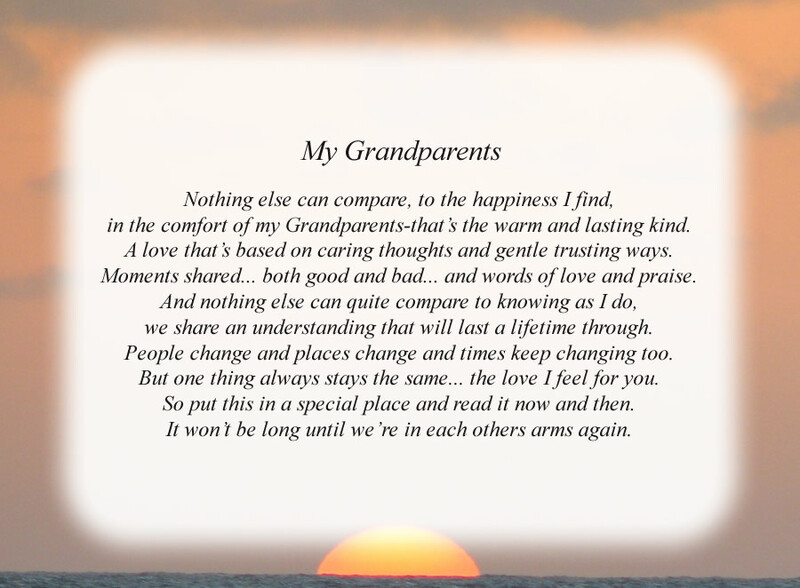 The poem, My Grandparents, is free and printable by opening or downloading using one of the three links below.